As he is driving home from a minister's conference, Baptist minister Don Piper collides with a semi-truck that crosses into his lane. He is pronounced dead at the scene. 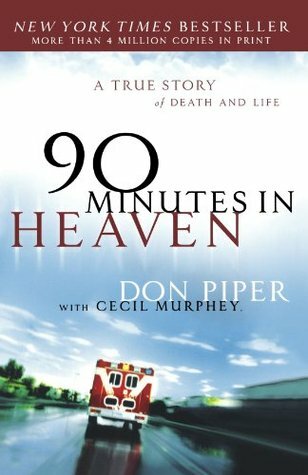 For the next 90 minutes, Piper experiences heaven where he is greeted by those who had influenced him spiritually. He hears beautiful music and feels true peace. Back on earth, a passing minister who had also been at the conference is led to pray for Don even though he knows the man is dead. Piper miraculously comes back to life and the bliss of heaven is replaced by a long and painful recovery. For years Piper kept his heavenly experience to himself. Finally, however, friends and family convinced him to share his remarkable story.